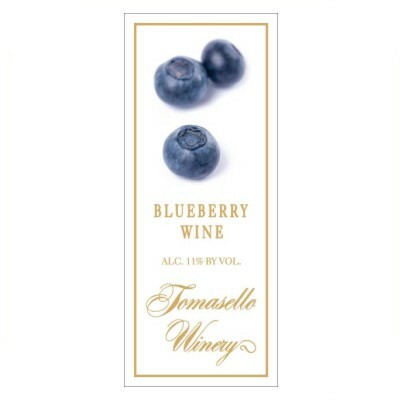 For over two decades, Tomasello Winery has been producing 100% pure blueberry wine from cultivated high bush blueberries grown in Atlantic County. The fruit wine is semi-dry, with soft and perfumed hints of blueberry. To add a distinctive character to your sparkling wine, try a Tomasello Blueberry Wine Kir Royale. Pour one ounce of chilled Tomasello Blueberry Wine into the bottom of your favorite champagne flute, and top with Tomasello Blanc de Blanc.